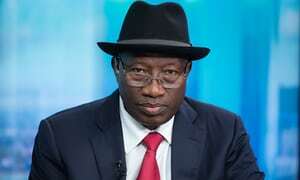 Former President Goodluck Jonathan has insisted that he was not aware of the alleged electoral fraud scandal raised against Cambridge Analytica. The President Muhammadu Buhari administration is said to be scrutinising the reports of the data mining firm, which stole the data of more than 50 million Facebook users to sway elections in many country, including Nigeria. The firm was said to have waged a campaign to perpetuate discord and hack into personal records of the then leading opposition candidate, Buhari, in 2007. But a statement by Jonathan through his spokesman, Ikechukwu Eze, said: “My attention has been drawn to a trending story entitled: ‘Jonathan unaware PDP used Cambridge Analytica, spokesman claims’. “I write to clarify that there is an element of mischief in the story, with the reporter disingenuously seeking to drag the Peoples Democratic Party into the report, and make the party look like an accomplice, in a case it was not even mentioned. “Although I was correctly quoted, to the effect that “former President Jonathan was not aware of it”, I consider the attempt to link my response with an orchestrated PDP involvement in the allegation as simply preposterous. This is because the PDP was neither mentioned in the scandal nor came up in my chat with the reporter. “It is instructive that the whistleblower who originated the allegation has been consistent in associating it to an unnamed businessman, who was neither linked to the party nor to the Jonathan campaign.